Marian Kinoshita: president, translator & editor, born and reared in the U.S., Marian has been intrigued with other languages and cultures since elementary school. A year at Nanzan University in Nagoya convinced her that becoming proficient in Japanese was her destiny! After graduating from Boston University, she worked for several years in the semiconductor business, followed by 12 years of freelance translating. She established MDK Translations, Inc., in May 2008, offering business, technical and cultural translations, as well as telephone interpreting and onsite assistance. Marian currently serves as president of the Japan Association of Translators. During her off hours, she escapes in to the fresh air to cycle and Geocache, both locally and globally, while continuing to hone her Japanese. 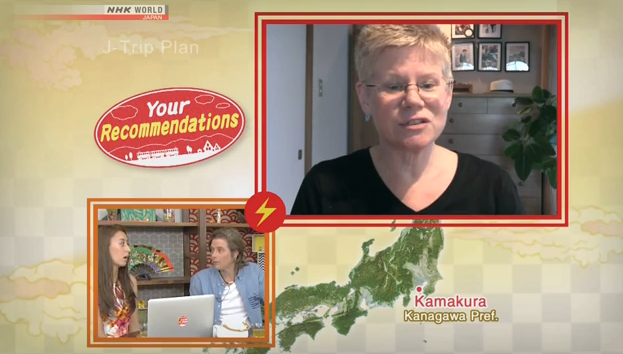 Stephanie is an American freelance writer, editor, and translator living in the green suburbs of northern Osaka. A graduate of North Carolina’s Davidson College (BA – Sociology) and UNC-Chapel Hill (MA – Communications), Stephanie has lived in 6 countries on 4 continents. Her husband is a research scientist, while her son is in graduate school studying electrical engineering. Stephanie loves bright colors and bright personalities. Kaz Kinoshita: translator, business development manager, technical advisor, computer science and IT specialist.